Some of you might remember that last year, my word for the year was abounding or abundance. If you didn’t get a chance to read my post about it, click here! I wanted my life to reflect God’s abundant love for me and for all of creation. While I don’t know that I’ll ever have that entirely figured out, I do know that last year I was able to experience God’s abundant grace in so many ways, from healing for myself and my family to a surprise (most expenses paid!) trip to Paris with my mama and aunt in December. Last year showed me that God doesn’t just meet our needs; He often goes above and beyond to remind us how loved we are. This year, my word is wonder. My desire is that I once again capture the wonder that comes so easily to children but is easy to lose out on as life and bills and phones and jobs compete for our attention. As a little girl, I would spend hours playing make believe, imagining different worlds and creating fascinating stories. When I thought about God, I didn’t understand penal substitutionary atonement or theological anthropology but I was endlessly fascinated with His Word and His character. Studying theology is a beautiful and good practice but my desire is that it would lead me toward greater wonder of God, not away from it as I falsely determine I’ve got Him all figured out. I also want to be the type of woman who expects to see wonders. I want to be wildly expectant that God is and will move on our behalf. I have seen Him change lives, my own included, and show up in marvelous ways time and time again yet I so often believe that I’m the one who needs control (Enneagram 8 speaking? Maybe)! I long to cultivate the world-shaking belief that I serve a God of wonders, who is capable of bringing life out of death and is powerfully MOVING all around me. Psalm 105:5 echoes 1 Chronicles 16:12 in commanding us to remember the wonders that God has done. He chose a people for Himself, He rescued them out of Egypt, He revealed Himself and His good will to them through the Law. At just the right time, He sent His Son to them so that all of us (that’s me and you!) could understand Him more fully as He walked among us, bringing healing and salvation to those who needed it most. He died for us and then raised to life, proving that He is who He claims to be, so that we might know Him and have a relationships with Him. These are wonders; this is wonderful. He’s done countless wonders in my own life; from moving me across the country several times, bringing me right where I most needed to be, to shaking my hard heart out of apathy and unbelief. He has softened me and shaped me into who I am and He continues to do so everyday; I continue to need Him to do so everyday. He has provided for my every need and given me incredible opportunities to serve Him from Yellowstone National Park to inner city Tulsa to New England. He is the giver of life, the creator of love and the one who shapes mountaintops and beaches and the snow that’s falling this very morning. He is a God of wonders. Mark 9 tells us that when people saw Jesus, they were overwhelmed with wonder and ran to greet him. May 2019 be so overwhelming with wonder that all we can do is run toward Jesus. Do you have a word of the year? Is this something you’ve done before? Let me know! Nope, this is not an adoption announcement (yet!). We’re probably still a few years off from growing our family, but when the time comes you’re just as likely to hear that we’re adopting or fostering as you are to hear that I’m pregnant! Adoption and foster care has always been so near to my heart, and since November is national adoption month, I knew that this is the perfect time to learn from and support families who have opened their homes to children who aren’t biologically theirs. I’m so in awe of these courageous friends and grateful to learn from stories and links they’ve shared, like this one that counts foster homes across the country. I understand that not everyone feels called to foster or adopt themselves, but I fully believe that every single one of us can make a difference in the lives of kids who can’t be cared for by their biological family. In New Hampshire, the number of kids in care has nearly doubled over the past four years due to the opioid crisis. Unfortunately, the amount of foster homes available in our state hasn’t shot up significantly to match this crisis. While this seems wildly overwhelming, this month has given our community so many glimpses of hope that the story is changing. My role at Movement Christian Church as the director of LOVE603 gives me countless opportunities to help people engage the foster care crisis in ways that are meaningful to them. In May, we took fifty people up to Northfield to volunteer at a huge event in partnership with Bethany Christian Services. Just a few days ago I sat with my friends Cindy and Kim and we created tags that will be used for BCS’s annual Operation Christmas Joy toy collection for kids in foster care (this will be Movement’s second year participating!). Getting to spend time with these two ladies was so sweet; Cindy works for Bethany and spends so much time advocating for kids in care, and Kim and her family are awaiting licensure to begin fostering. over 500 hours creating 239 bundles that’ll go to children all across New Hampshire. Their passion, courage and leadership are absolutely transforming the 603. Kim and Katie with 239 bundles totaling nearly $72,000! This Sunday, from 2-4 pm, our New England neighbors will have another chance to move closer to those who are making a difference in the foster care system! Movement is partnering with DCYF and Bethany Christian Services to host a Foster- Adopt- Safe Families Workshop. We’ll have professionals from these organizations presenting, and we’ll get to hear from some of our own Movement family members! Our friends Katie and Kim will talk about the Pass Along Project, and our good friend Brendon will share his experience as a CASA worker- a court appointed special advocate. If you’re local, you can sign up for the workshop here. I’m so excited for this to come together, and I can’t wait to hear the stories that we’ll tell after it. I love that I get to be part of a community that takes these words seriously. Friends, I encourage you to discover how you can begin caring for orphans in your local context. Maybe you’ve got the space in your home to bring in an extra child or two. Maybe you can bring meals or encouragement to families in your area who are fostering or adopting. Seek out the ways people are bringing others into their families, and meet them there. When we do, we’re engaging in Gospel work. Jesus is always moving to bring people into His family, and we absolutely get to partner with Him in this holy work. We need you to be part of this! We are with you. PS: Rhett & I are still a few hundred dollars short of our monthly fundraising goal! If you’re interested in partnering with us throughout our second year of residency, please fill out this short form. Thank you! Your generosity is changing lives in New England. We know that there is so much power in a shared story. Stories shared around campfires and kitchen tables have changed our world. They have the authority to capture people’s imaginations and inspire great change like few other mediums. Each of us has a story, unique to our own journeys and experiences. We absolutely want REventuring to be a place where stories can be shared, and we figured it was best to start with our own. I grew up surrounded by church culture. Ministry extends back several generations in my family- on one side or another, a great-great-great-grandparent was preaching the Word or leading in a church somehow. My first few years were spent overseas, as my parents ministered in Ukraine, taking vacation to visit my grandparents in Zimbabwe, who were also doing ministry at the time. While now it’s a joy to follow a legacy of such tremendous faith, I was certain that that would NEVER be me. No way was I ever going to work in a church. Experiencing the ins and outs of church planting and leadership through my family taught me that the church isn’t always the easiest place to be. While we try hard to follow in the footsteps of a gracious, compassionate God, we often mess up and deeply hurt those around us. When my family was on the painful side of these experiences a few too many times, I knew that vocational ministry was not something I wanted to sign up for. I also knew that Jesus was the most interesting, loving and compelling person I had ever come across. He was someone I wanted to know better. I made the decision to spend the rest of my life getting to know him when I was eight years old and my family was preparing to move from Brooklyn, NY to Charlotte, NC. We practice non-denominational Christianity, which just means that we’re not part of an organized denomination. Basically, we’re all trying to follow Jesus as best we can without letting too much tradition (beautiful as it may be) cloud up the call he has for us. We don’t practice infant baptism, but we allow people to decide for themselves when they’re ready to say yes to Jesus and be baptized by immersion. As an eight year old getting ready to exchange city streets for what I considered country life, I knew that this transition was far bigger than I could handle by myself and I needed Jesus to be with me. I already believed in him and loved him, so getting baptized was the next right thing for me. I knew that I made a lot of mistakes that separated me from God, but that Jesus had died on the cross to take away the punishment I deserved. I was ready to accept that reality and begin building my life upon it. Moving to Charlotte was frightening and exhilarating all at once. Finally, we could ride bikes! And play outside! I missed New York but I loved the new friends I was making and I deeply loved the new church my family was helping to create. Things were good, and I passed through late elementary and middle school with only a few emotional scars. I was a pretty stereotypical pastor’s kid. I didn’t curse, I committed myself to abstinence and I knew all the right answers at church. I knew exactly who I was supposed to be, but I had no idea who I was. Then, high school happened. Instead of going to the neighborhood school in my district, I was bussed across town to a school with an International Baccalaureate program and no one who knew I was the pastor’s kid. I realized that I could be anyone here. Without any sort of solid identity to rely on, I quickly figured out that acting like the kids around me would win me social points. Cursing? Bring it on! Apathy and disdain for everything around me? Yes please. When I had to transfer back to the school I was zoned for, these habits stuck with me. Relationships with boys and my own misplaced desires made sure that sexual sin became part of my story, too. I also had tons of questions about God. Is he truly good? Does he really love all of us? Why are some things considered sin and others aren’t? Is he even out there? The Sunday school answers weren’t enough anymore. Being the pastor’s kid, I felt like I had no one to turn to who could answer them. Instead of continuing to wrestle with them, it became so much easier to push it all out of my mind and live life however I pleased. I’d stand in worship at church, utterly confused about why the people around me seemed so moved. My heart was hard and I felt completely numb to just about everything. It took another cross country move and the life I knew literally being destroyed and rebuilt for me to decide that maybe there was something more to Christianity than what I had rejected. I watched my parents somehow handle a terribly difficult situation with an insane amount of grace because they so deeply loved Jesus and his church. Their faithfulness was radical to me. When we moved to Indiana, the Lord provided for our battered family in so many ways. For the first time, I felt like I was experiencing God’s faithfulness for myself. Although we moved right at the end of my junior year, a fresh start in a new state was exactly what I needed (though I’m sure I could’ve done without all the corn). This experience allowed me to examine faith in a way I never had before. As I searched, God showed up, and he’s never left me alone since. In fact, he never left me alone at all, even when I wanted literal nothing to do with him. I knew that either the Gospel is a myth and doesn’t matter at all, outside of a study on sociology, or it’s true and it transforms absolutely everything. Once I decided that I really did believe this wild story of love and redemption, I knew that this was something I wasn’t going to do halfway. I soon discovered that I felt most alive and most myself when I was engaging injustice. When I visited Joplin, MO, in high school during one of the most painful weeks of my life, I swore I’d never return, but Ozark Christian College‘s Biblical Justice degree wooed me back. Attending OCC solidified my shaky faith. As I dove deep into studying Scripture, I fell more and more in love with Jesus and his Kingdom. Meeting Rhett & deciding to get married young was another thing I swore I’d never do, but love has the power to transform everything. Following God isn’t always easy, and as our culture becomes more and more post-Christian it feels weirder and weirder, but it has been the best and truest and most beautiful decision I’ve ever made. His love is compelling and healing like nothing else can be. From Cambodia to inner city Tulsa to Yellowstone’s mountains to gorgeous New England, this love has taken me on the most incredible adventures. Now, I know that I have been saved by grace, through faith, and that I am God’s poem, created in Christ to do the good things he has set for me in advance. This story is mine- but it can be yours too. If you’re local, please stop by 27 Depot Street on a Sunday at 9:30 or 11, or a Monday evening at 7 (or just reach out and I’ll treat you to coffee!) and if you’re not, we’re always an email or a phone call away. To receive monthly updates or support us through prayer or financial giving, please click here! Over the last year Elisa and I have been able to use this blog of ours as a platform primarily for story telling. We’ve used stories to encourage, inspire, and simply enjoy the feeling of connection that comes from relaying our experience to another. What makes stories so special is that they cannot be rushed. Stories unfold in their own time. Sometimes an eventful afternoon can produce two, three, or even four different stories for you to tell to friends or family at the dinner table. Other times though, stories take their sweet time, playing themselves out over months or years. Often with those stories you don’t even realize that they were happening until after they’ve been developing for quite awhile. Today I’d like to tell you one of those long view stories. But soccer? Soccer was a joke. No proper Oklahoman plays soccer past the age of six. I lumped soccer in with other sub-sports like poker, darts, and bowling. At least I did until July 6th, 2010. I couldn’t believe that a human being could do that with their foot. In that moment, I decided that soccer was a real sport. However, I didn’t think much more about soccer until I went to college. My dorm floor was obsessed with the FIFA soccer franchise of video games. They taught me to play and we all, arbitrarily, chose teams to support. I had one friend who knew how to watch European soccer online and, as only a dorm floor can, all 20 or so of us jumped head-first into the sport. This was great because, as any college kid would tell you, adding a new hobby to your schedule already filled with school, family, friends, work and sleep mid-semester is a great idea! I quickly became obsessed with soccer. I spent countless hours learning about the history, tactics, and culture of the sport. I started playing pick-up soccer at every opportunity and asked my friends on our school’s team to show me how to get better as a player. The entire time this was happening, I was open and honest about how big a waste of time soccer was for me. I was 19. I couldn’t go back and play high school soccer, and I wasn’t going to make a college team, considering that I hadn’t played any organized sport since 9th grade. But something kept driving me to learn and improve, feeling guilty for it all the while. In the spring of my sophomore year I went to spring soccer camp at the invitation of my best friend on the team. It was more laid back and was open to anyone who wanted to play and get a workout in. I had a blast, and the summer before my junior year of college, my friends on the soccer team convinced me to tryout. I agreed, deciding that at worst I would get into better shape and spend time with friends. Who knows? Maybe I would make the team as the last man on the bench/cheerleader! I showed up with no idea what I was getting into. It was the most physically demanding week of my life. All in all, I puked five times and lost five pounds. But best of all was the sense that maybe I could do something worthwhile after wasting all that time on soccer. It all would have been for something! On the final day, I was told I wasn’t going to make the team. I was definitely disappointed and embarrassed, but I was even more crushed to have to say that all that time was, indeed, for nothing. Then, a few hours later I found out that all was not lost! I was told that the team needed someone to come to practice once a week and scrimmage with them and they wanted me to be the one to do it! I happily accepted and for that season I got to show up and play in almost every position on the field, wherever they needed me. Left back, center forward, midfielder, goal keeper, I had the chance to play and learn about them all! I reveled in it! I came to know the game, at least a little bit, from all perspectives and I took joy in the simple thrill of playing soccer with my friends. At the end of the season I was content to close the book on being around soccer. From now on, I’d just be a fan. After all, the next semester I started dating this beautiful girl and quickly shifted my focus and priorities toward other things like saving up so I could afford to get married and graduating college with a respectable GPA. I thought my story with soccer had reached its resolution. It would serve as a good anecdote from my college days and maybe I’d coach kiddy soccer if I had children with an interest in it. But that’s not the end of the story. 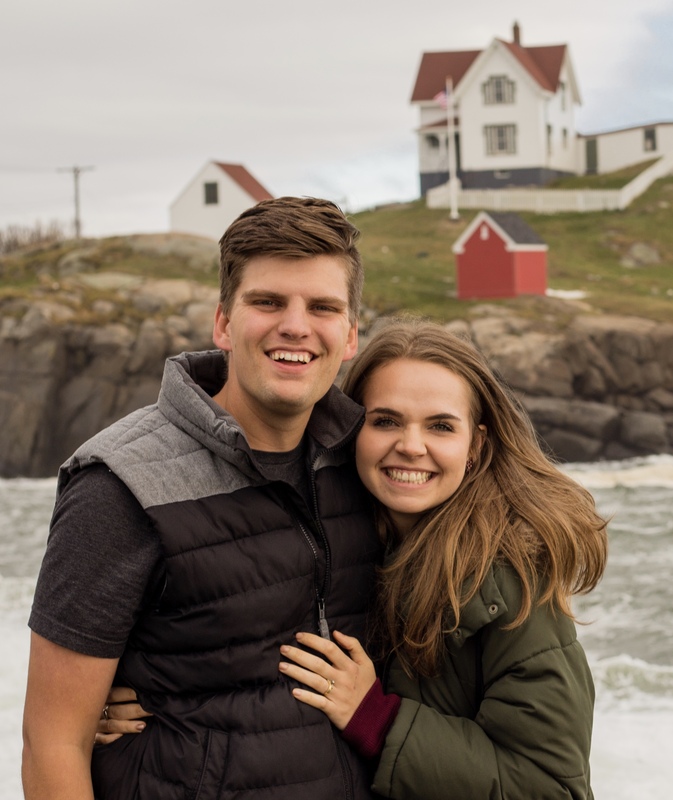 On May 1st of last year, after living through a couple more crazy stories, Elisa and I agreed to move to New England and join the team at Movement Christian Church. It was on our first phone call with Josh and Mark when I realized that I was actually right in the middle of one of those long stories. While we were dreaming about what God might be doing in Merrimack, out of the blue, Mark asked me if I liked soccer. After I enthusiastically answered in the affirmative, he told me the story of how God had moved in wild ways and given them the chance to coach the middle school team here. They wanted me to be an assistant coach! But God still wasn’t done! Just a few weeks later, Mark called me up again with the news that he had accepted the job of Merrimack High School’s head soccer coach and he wanted to offer me the position of freshman team head coach. I was able to say “YES!” to that offer because I was qualified. I had spent the last four years preparing for this job without even knowing it. econd season as a coach. I’ve had the chance to move closer to and pour into the lives of almost 40 kids through coaching. I’ve been able to have conversations about life, give advice, mentor them, and teach them about the game. I’ve been able to speak worth into them, speak truth into them, and speak life into them. Best of all, they sometimes ask me questions because I’m “a priest or whatever” and I’ve had the opportunity to talk to them about faith, Jesus, and the Church and hopefully give them a glimpse of a life that is surrendered to the goodness of Jesus Christ. In summary, I just so happened to witness a goal that captured my imagination, just so happened to make friends with soccer fans, just so happened to get experience at every position, just so happened to move to Merrimack, New Hampshire, and just so happened to get a coaching job I didn’t apply for. I’ve learned my lesson about calling stories over too quickly and I’m happy to let this one take all the time it needs. Here’s to stories and the God that writes them best. To Him be the glory and honor forever and ever, amen! Note: Over the next couple of weeks Elisa and I will be sharing more stories of how God is moving. Thanks for following along and be sure to stay tuned! Our world is changing, radically and quickly. Technology has ushered in new forms of communication, interaction and experience. Travel, education and information might be pricey but are accessible like never before. The ideas surrounding religion are changing too. So many people rightfully question what they’ve been taught and instead of finding answers, they find harsh words and closed doors. Those who want to experience the deep spirituality found in a relationship with Jesus so often get turned away by those of us defending him before they even get a chance to know him. I’m not one for alarmist calls to action. The societal power of Christianity might be fading in America, but it’s still growing as a religion worldwide. Asian, African and South American brothers and sisters are now leading the tide, and it’s thrilling to see the incredible growth happening in these areas of the world. Historically, Christianity thrives most when it’s unpopular, and so it’s also exciting to think of the ways the church might shift here in the next few decades. Rosaria Butterfield writes in her book about hospitality in a post-Christian world, The Gospel Comes with a House Key, that God never gets the address wrong. I believe that wholeheartedly. He puts us in the places we’re supposed to be, and when we ask Him to show us why we’re there, He is faithful to reveal good plans and purposes. I believe He’s also correct when it comes to our time: he doesn’t get our birthdays wrong. Like Esther, you and I are alive, now, for a purpose, and it is our joy to get to discover what that is! A friend recently shared this article on his Facebook about the top post-Christian cities in America. Only three are located outside of the Northeast. Rhett and I get to live surrounded by people who don’t know Jesus and have been hurt or discouraged by the church. Although there are lots of days where we feel unworthy to make any sort of difference here, we know that God hasn’t gotten our address or our birthdays wrong. He’s got us here for lots of reasons: to love and serve our neighbors, to lead teenagers into knowing Jesus, to create community and to help build a church full of messy people madly in love with a magnificent God. I believe that God has you in your specific place, in this specific time, for a reason. He has lessons to teach us, ways to grow us, and good works for us to do right where we are (Ephesians 2:10). We’ve just got to ask Him to show us! When we start considering our place, our time and our purpose, I know our eyes will be opened to the opportunities surrounding us to love others well. And when that happens, our world changes. To join our team, receive monthly updates and support us through prayer or financial giving throughout our second year as residents at Movement Christian Church, please click here! Monday wasn’t just a holiday- Labor Day- it was a holy day. Rhett and I spent it with our Movement family serving some of our neighbors at the Rescue Mission in downtown Nashua as our September LOVE603 event. We boiled potatoes, peeled eggs for “angeled eggs,” set up tables, grilled chicken, burgers and hotdogs and eventually gave away popsicles to about 200 people who showed up for the cookout. We had the chance to sit and talk and laugh and play corn hole and eat with our sweet neighbors. It was special; it was holy. To be holy means to be set apart. God is perfectly holy. He’s completely set apart from anything evil. As Christians, we’re called to be holy just like Him. It can be a churchy word used to accuse people of not following the right rules, but the reality is that holiness is a gift we’re given when we say yes to following Jesus. We shouldn’t have to work to be holy, we just need our lives to agree with what God says about them. In 2 Timothy, a book of the Bible written by Paul to a younger friend he was mentoring, it says He has saved us and called us to a holy life—not because of anything we have done but because of his own purpose and grace. This grace was given us in Christ Jesus before the beginning of time. Our calling to holiness is a gift and a grace. Sometimes, it can feel like living a holy life is a whole lot of saying no. In some ways, it is. It’s saying no to selfishness so we can say yes to serving others. It’s saying no to judgment so we can say yes to love. It’s saying no to filling our time with things that bring emptiness so we can say yes to creating space for Jesus, who brings peace and healing. It’s saying no to things that aren’t very good for us so we can mightily say yes to things that are best for us. I want to say a whole lot of yes to Jesus. When we say yes, we get to experience moments like yesterday. Moments where heaven meets earth for a little while, and we get a glimpse of the glory and the Love found in Christ. We each have these opportunities all the time. Every single day we come across people who could use a little hope. Let’s be holy and say yes to generously giving this life all we’ve got. Click here and enter love603 as the password to get a glimpse of what this holy day looked like! We’re praying for you and we are with you! Thanks for being with us. This summer has absolutely flown by for us. We’ve tried to make the most of every single warm second imaginable, and I think we’ve been pretty successful. Between beach baptisms (there’s another one planned for Sunday! ), three weeks of camp and visits from friends and family, our summer has been full and so good. We wanted to take some time to update you on our lives. Ministry in New England is both very familiar and unfamiliar at the same time. As I write this in one of our Next Gen rooms at Movement, the sounds of music blaring and people preparing for Messy Night tonight are floating through the window. Messy Nights are something lots of churches do- but for many of the people attending tonight’s event, it’ll probably be the first time they’ve experienced anything like it. So many of our people are just now discovering what it’s like to follow Jesus. It’s humbling and completely thrilling that He somehow has chosen Rhett & I to be part of that. With the fall quickly approaching, both soccer season and support raising have begun again. As many of you know, we’ve committed to another year here in New Hampshire. We love living here: I work two days a week at my favorite local coffee shop, and spend the rest of my time leading LOVE603: coordinating monthly organized events where we serve alongside our community, empowering others to execute their own organic events, leading a LOVE603 Coalition, overseeing our truck deployments and organizing school supplies/ diaper/ clothes/ toy drives, depending on the time of year! I also love teaching about Jesus. I get to disciple many incredible women who are so hungry to learn more about Him and the Bible. Rhett does it all. From leading our StudentMovers ministry, to singing or playing various instruments during worship, to preaching and coaching soccer, I am blown away every day by his uncanny ability to joyfully show others what it looks like when your life is utterly devoted to the Lord. He’s amazing. Together we have led a week of camp and a week of CIY Move and we look forward to leading our small group again in the fall. While we were at Move, one of the preachers encouraged us to have an “only God” story at least once a week. We should be living so expectantly and aware of His presence that every single week we see Him do something that only He can do. Being at Movement has given us regular “only God” stories. Only God could grow our church from 70 to 350. Only God could make an additional service on a Monday night effectively reach a new population of people. Only God could move so powerfully in the lives of our friends- friends like Rebecca and Jordan, Ben, Vicki, and so many more. Only God can work in such a way that our students are making decisions to be baptized. Only God could have provided for us financially time and time again, both as a couple and as a church. We know it’s only God who makes movement happen, but somehow He lets us be part of His Kingdom work. Would you consider joining us as we gear up for another year here in New England? If you’d like to commit to being part of the family here, through prayer or a financial gift, please click the link below. We can’t do this without God, and we can’t do this without you. Thank you! Ooh, Solomon, I sure feel ya on this one. Young and inexperienced? Yep. Always a little overwhelmed? Definitely. Reliant on the goodness and faithfulness of our God? ALWAYS. To drop this passage into context, here’s what’s happening: King David, one of Israel’s first ever kings, has just died. After some familial drama, his son Solomon inherits the throne and God decides to give our homeboy whatever he wants. He shows up to Solomon in a dream and literally says “Ask for whatever you want.” So Solomon asks for wisdom because he has some mighty shoes to fill and he knows he’s gonna need it. There are a ton of people out there who are looking to him to lead them well, and he recognizes that he needs God’s help to carry out his responsibilities. We probably aren’t ruling kingdoms, but we are certainly helping lead the Kingdom. Every day each of us has the chance to create and contribute to the glorious Kingdom that Jesus is establishing here on earth. We get to be Kingdom people, princes and princesses in our own right, adding to the goodness, glory, love and joy that Jesus desires for every single one of us and everyone we know. And guess what? The same gift available to Solomon is available to us too. God gave Solomon wisdom in abundance. The books that Solomon helped write (Proverbs, Ecclesiastes) are called wisdom literature. This guy got a whole section of the Bible named after the gift God have him! And we have the chance to say yes to this very same gift! James 1:5 tells us that “if any of you lacks wisdom, you should ask God, who gives generously to all without finding fault, and it will be given to you.” Did you catch that? It will be given to you. I think sometimes we read Bible stories and completely forget that the God written about ages ago is alive and actively working in our lives today. It’s not like the Biblical writers had access to God 1.0 and we ended up with the sequel. The same goodness, grace, power and majesty displayed so evidently in the pages of the Bible is present with us right this very second! So let’s not say no! Let’s say a resounding YES to wisdom, to the power to know between right and wrong and choose better, today. All we’ve gotta do is ask. There’s a Kingdom to lead, there’s people who need to be loved and there’s goodness waiting for all of us. While I didn’t understand where this word came from, the confirmation I felt in my heart made me certain it was something I needed to explore. It feels a bit ironic, however, because when I think back on 2017, so much of what I take away is this idea of abundance. Abundance in God’s faithfulness and power in bringing us here to New England. Abundance in His provision and all the incredible, generous gifts of people, money and memories that have marked this year for us. Didn’t He already teach me about His abounding love and provision? Then, however, I turned to the Bible to see where this strange word might be found. Oh, okay. Well, that one seems to make sense. I can see how this is relevant to where I am now. Yep. I’m learning that one too. While this word isn’t always utilized in every translation of the Bible, as I seek it I see how God knows what I need for 2018. Besides, I can always, always use more of Him to fill my heart, soul and life. I’m not sure what this year will bring yet, but I know that God is good, that He abounds in love and that He has called us to this holy work. Do you have a word for 2018? How would you describe 2017? As always, we love you and we are praying for you. Thank you all for your support and care in 2017. We are so excited to see what this next year will hold! The weather has been all over the place lately. Sometimes it’s in the 80s, then it’ll drop down to the 50s without so much as a warning! Today, it is both rainy and warm, but a few days ago, the chilly wind had me looking for my socks, because, honestly, life is just too short to have cold feet. Cozy toes on a chilly New England day! I’ve been thinking about this a lot lately: not just in relation to my freezing toes, but also to the choices we make every day. Too often, I find myself with “cold feet” when it comes to jumping out of my comfort zone. Anyone else? When you see someone in need of a ride, do you offer your car or do you have cold feet? When it comes to the coworker, family member or friend who is struggling, do you reach out with kindness or develop cold feet? What about inviting someone to church or telling them about the immense love and grace found in Christ? Do you jump into a scary conversation or do you let your cold feet hold you back? Maybe cold feet isn’t just fear; maybe it’s busyness or apathy or shame that holds us back from being the people we are called to be. I know I’ve let all of those things stop me in various ways. Think of what we lose out on when we do that, though! Think of the opportunities, conversations and relationships we say “no” to before they’re even given a chance! I truly believe that God doesn’t withhold good things from His children (that’s us!) but sometimes I think the coldness in our hearts, prayers and actions stop us from receiving them. Today, I am grateful for all those who don’t let cold feet hold them back from being the people they are called to be. Esther, in the Bible, showed fearlessness when she stuck up for justice at the risk of her life. David didn’t let cold feet stop him from defeating Goliath, and his prophet, Nathan, didn’t let cold feet stop him from calling out his friend on his sin. Ultimately, Jesus didn’t let cold feet stop Him from dying on the cross to give us an abundant, glorious and full life in Him. We are learning this every day here in the 603. We continue to be given opportunities to jump first into intimidating situations, and not let cold feet hold us back. Whether it is speaking at youth group, preaching, heading to Texas to do disaster relief, inviting new friends to church (or even just making new friends!) or helping lead a food pantry, both of us are being stretched outside of our comfort zone. When I’m tempted to say no because of fear or apathy, God is gently reminding me that life is too short for cold feet. Today, I want to encourage you to say no to cold feet with me! Put on a pair of warm socks if you need to, surround yourself with the Word of God and let’s head out of our comfort zones, together. As always, you are welcome to leave a comment or shoot as an email with a story or prayer request of your own. We love you so much!